Over five centuries man has left his mark on the landscape in landuse and in buildings. At the very simplest these are drystone walls demarcating pastures or land holdings, and the simplest huts people lived in – the typical St Helena longhouse, perched on a ledge carved out of the hillside and extended with the growing family with rooms added on along the contour. Larger estates developed by the land-holding “gentry” and senior officials of the past are marked with imposing gateways, now leaning into the lush vegetation, leading to significant two story houses, with terraced gardens, outhouses and magnificent views. Only time and the changing economy have not been kind, and once abandoned, termites and rainfall have taken their toll of the grand houses, first roofs then walls, collapsing as the rainwater gets to the interior unprotected mud mortar, and the vegetation crowds in obscuring both views and ruins in a short period. The East India Company, the Military, and then the government were able to afford more substantial structures, built to withstand invasion from the outside world, cannon fire and grappling irons. Defensive positions litter the coast especially on the northern and western lee sides where sailing ships would have approached from. 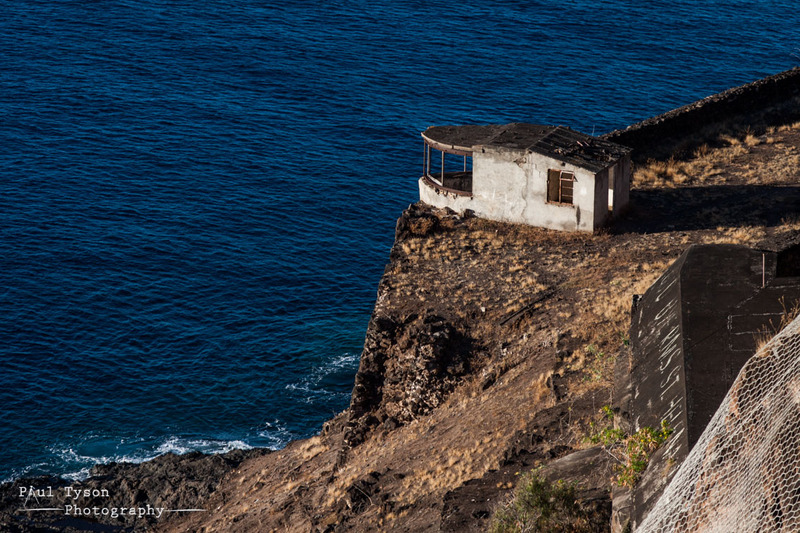 Gun batteries, signal stations, walls across valley mouths, forts and roadways built up along hillsides to connect them all and permit the movement of soldiers and weaponry survive to this day – just. 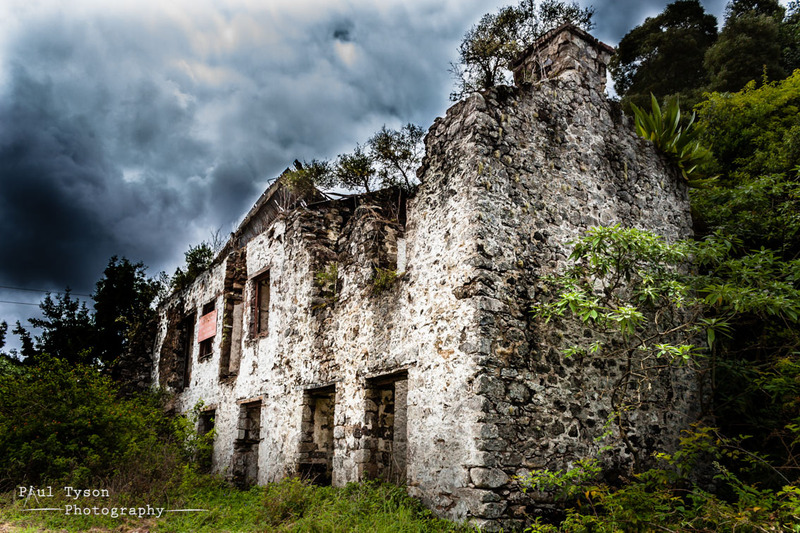 Climate and time, rainfall and earth tremors – and most of all the lack of necessary maintenance mean that many such structures are gradually falling away, crumbling, or being overtaken by plant growth in the wetter areas. Lack of use has also attracted those seeking to improve their own quality of life and the building materials offered by the unused structures have sometimes been put to other uses. This built heritage is not self-replicating and once it goes, or becomes so unstable it can no longer be entered, then it is lost. The “Danger, no entry, danger of collapse” signs go up as the walls crumble and fall down. Teutonic Hall, Rose Cottage, White’s Cottage, Warbro’ House, Willowbank to name but a few – they have either gone, or are no longer in a safe state, roofless, walls stained with the internal mud washed out like so much blood from a slaughtered animal – they are the dying remains of a past way of life. The Trust seeks to record and preserve as much of this as possible, to encourage others to do so, and to ensure the development does not impact more than is needed in the search for an improved quality of life. These, together with the natural and cultural heritage, the scenery and geology, the outdoor recreational opportunities – are seen as the very stock of tourism for the future support of the island. Like a car engine or a farmer’s field, they require maintenance to ensure as long a life as possible and continued contribution to earning the support of life on the island. 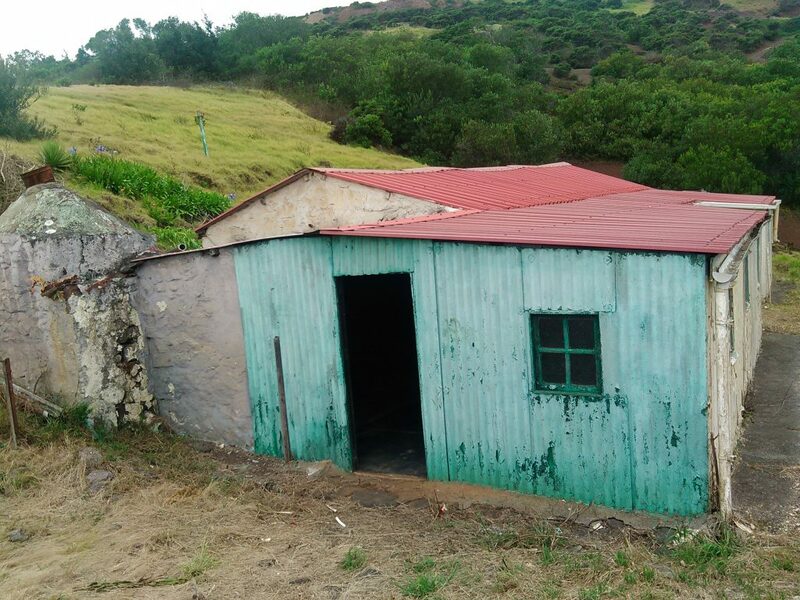 Read on here to see what the Trust has been doing and is continuing to do to maintain the built heritage of St Helena.